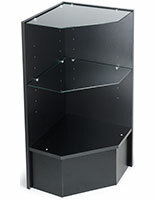 Extra Vision Retail Counter Configuration - 68" x 88"
Perfect for use by boutiques, by mall vendors, or in department stores for selling anything from jewelry and collectibles to sunglasses, this 68" x 88" (7'-4" x 5'-8") extra vision retail display case configuration is sure to draw attention to your product. 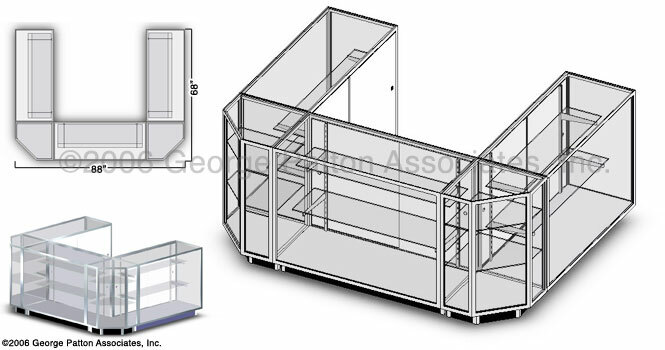 The configuration shown above is designed to allow a retailer to display a large quantity of merchandise in a compact space. 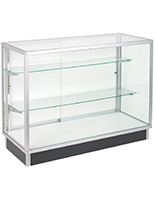 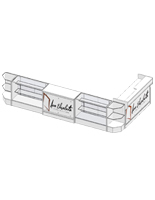 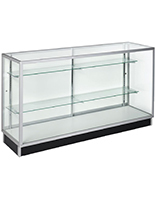 This set of extra vision display cases includes three 4ft Extra Vision Display Cases, and two Extra Vision Corners.